The annual Wawa Day is arriving. It's not a day where you go to work dressed as a crying baby, fun though it sounds. It's a day to carry a smile because you're starting the day with a free cup of coffee. 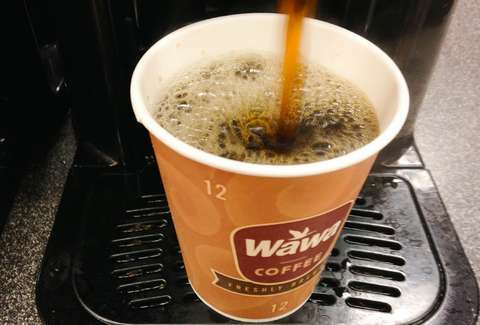 Thursday, April 11 is Wawa Day, celebrating the day the first-ever Wawa convenience store kicked open its doors in 1964. To thank customers, the chain has committed to giving away more than 2 million cups of coffee on Thursday. Every location will be handing out free cups whenever you swing through. You don't need a password, an app, or to make a purchase. Everyone is just enjoying a coffee together at any of the chain's more than 790 locations in Pennsylvania, New Jersey, Delaware, Maryland, Virginia, Florida, and Washington, DC. Moreover, at one location in each state, Wawa will hold a special celebration to honor the five-year anniversary of the Wawa Foundation, which has donated "more than $66 million to causes surrounding health, hunger, and everyday heroes." That will include the location at 6th and Chestnut in Philadelphia, the nation's largest Wawa unless you count Lake Superior. If you aren't in one of those states, find your nearest convenience store with a funny name. It'll basically feel like you're right there with all the people drinking free coffee outside a Wawa.